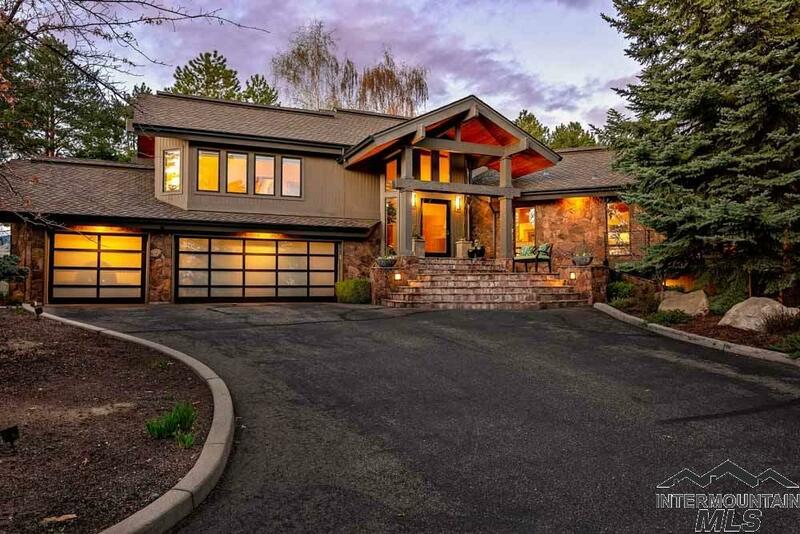 A secluded private estateâ¦favored Highlands locationâ¦set amid tall pines on nearly an acreâ¦overlooking Crane Creek Golf Course and downtown Boise! Lodge-like feeling complimented by massive beams and soaring wood ceilings that add to the feeling of size and space of the open main living area. Perfect for entertainingâ¦seamless flow from the sleek kitchen and huge dining space to the outdoors. On cooler evenings gather w friends and family around the firepit or imagine the fun youâll have swimming in summer.